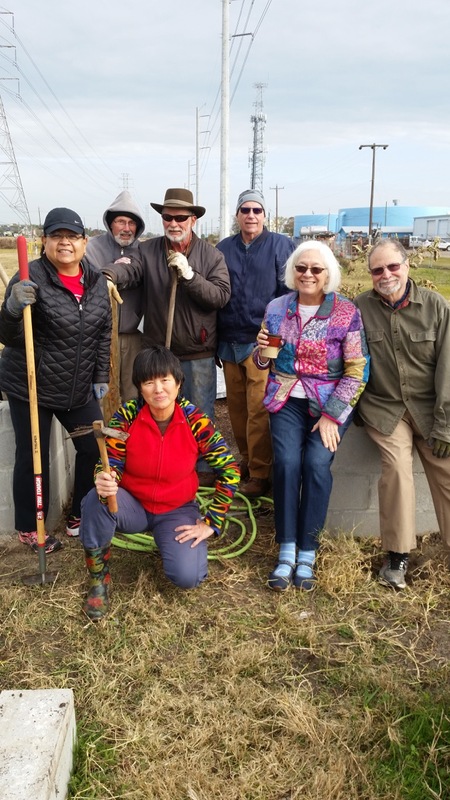 We had a nice turn out of gardeners on a warm but successful workday on May 20th with George, Siok Hong, Jane, David, Jill, Ana Bruce M, and Nathan. 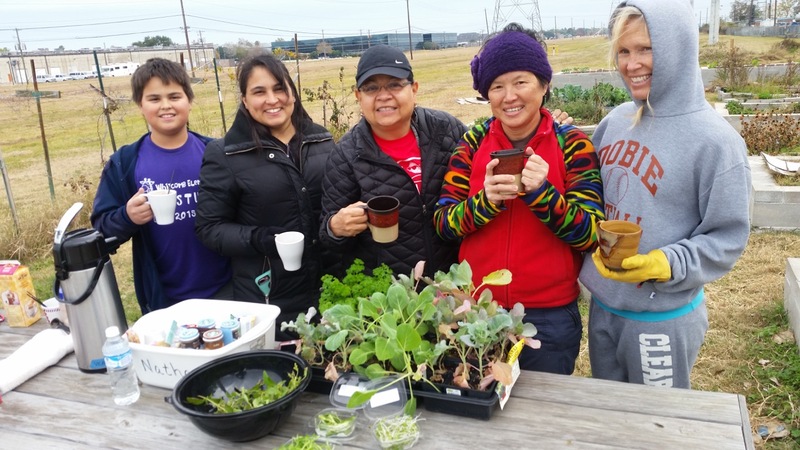 We discussed the 2nd annual Community Garden potluck on August 19th, and will invite a guest speaker and gardeners from other community gardens in the area. Our donation beds are producing a nice crop of tomatoes and a few peppers. Siok Hong picked 5 lbs of long beans and took them to the ICM food bank in League City. We recently took cherry tomatoes and peppers also. Urban Harvest has donated seventeen sweet potato slips to our Community Garden that have been planted in tall mounds north of the garden. Siok Hong Chen-Sabot has planted milkweed and zinnias to attract butterflies. Drop by bed 14 and see how many different butterflies you can count. We appreciate Cindy Lewis, Jane Malin and David Malin for continuing to water and weed during this hot, dry time. Our Community Garden’s next workday is Saturday, June 17th from 8:30 -11 am. Volunteers are always welcome. Check out this Urban Harvest link and select sweet potatoes for planting and nutrition information. Many thanks to Emily Savino for all her work as our web master.